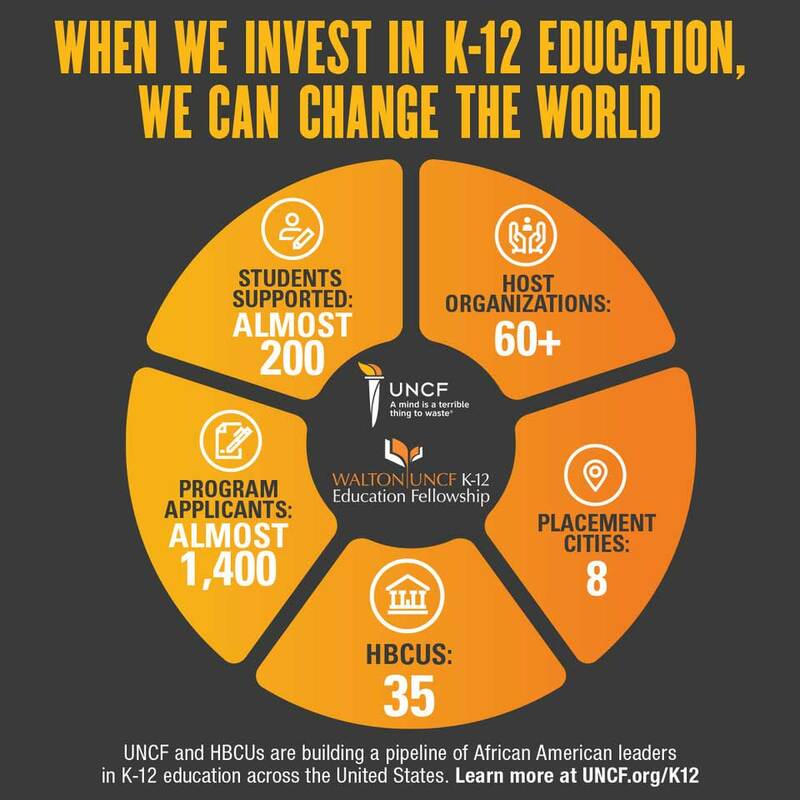 The Walton-UNCF K-12 Education Fellowship Program is a leadership and talent development initiative aimed at building a robust pipeline of high-achieving African Americans engaged in education reform in America. 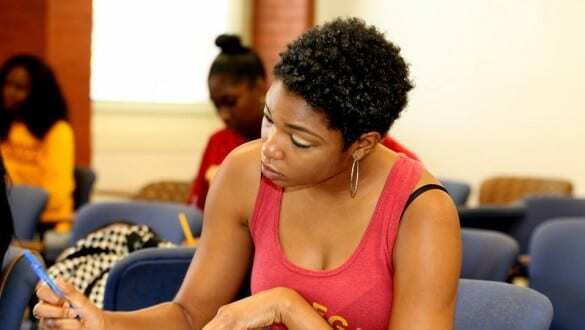 Attention Students: The Walton-UNCF K-12 Education Fellowship application is now open! Remember: Complete all steps for the application! You will not be considered until you submit all the information and essays the application requires. 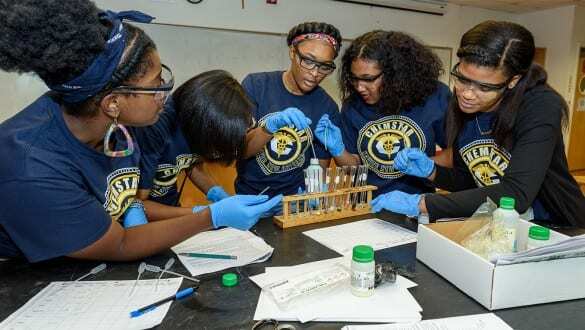 Summer Internship – One of the principal elements of the paid summer internship program that exposes fellows to professional careers at leading K-12 education organizations and schools focused on education reform. Specifically, fellows are deployed as interns to organizations and schools located in such cities as Boston, New York, Washington, DC, Atlanta, New Orleans, Chicago, Indianapolis, Memphis and Nashville. Examples of internship host organizations include Teach for America, New Schools Venture Fund, Paul Public Charter School, BUILD, Black Alliance for Educational Options, Thomas B. Fordham Research Institute and Stand for Children. During their internships, fellows apply what they have learned, acquire new skills, gain an understanding of the professional needs of education reform organizations and make meaningful contributions. 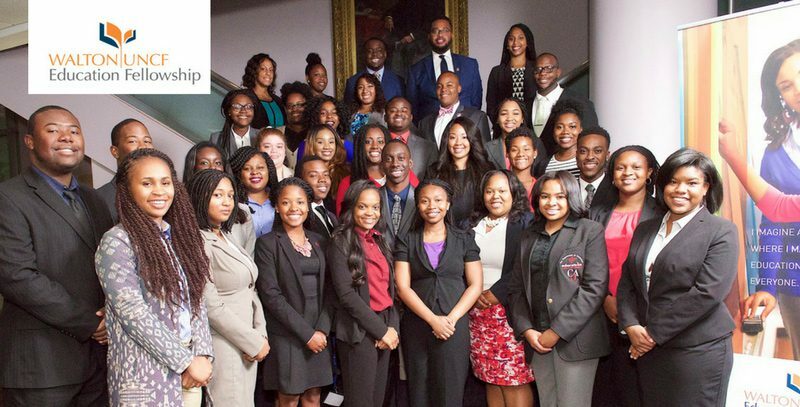 UNCF Student Leadership Conference (SLC) – Students selected for the fellowship will be required to participate in a three-day professional development student leadership conference prior to the start of their internship. SLC aims to provide a framework and forum for equipping students with the skill sets that they will need to be successful as interns and early career professionals. Participants will gain enhanced critical thinking skills; stronger project management abilities; improved verbal and written communication; sharpened workplace productivity; quality workplace readiness and etiquette; greater understanding of their leadership style; and improved networking skills. Education Reform Case Competition – This case competition is a required component designed to strengthen fellows’ critical thinking, problem solving, and teamwork skills. Fellows are placed into teams to develop a solution to address a specific education reform issue in an assigned city, state or local school community. Teams will incorporate their knowledge of the current landscape for education reform, the content on education reform presented at the UNCF Student Leadership Conference, and their individual assessment of the creative resources and policies needed to improve education. The Education Reform Case Competition serves to foster innovation, collaboration and creativity amongst fellows. Career Coaching – As part of the professional development provided to each intern, UNCF will include the interns in its partnership with CareerCore, a student coaching and professional career development firm. UNCF has successfully contracted with CareerCore for several years to provide robust professional development and career coaching for our student interns. Interns will be assigned a professional coach, whom they will meet in-person during the student leadership conference and then work with virtually over the course of their summer internship experience. Alumni and Networking Opportunities – This fellowship program aims to support alumni even after they have completed their undergraduate degree with the goals of assisting alumni in securing entry-level career positions in education and/or reform organizations and cultivating alumni exposure to networking opportunities with reform leaders. Alumni will be offered select opportunities to participate in national conferences sponsored by leading education reform organizations as well as local events where they can share their experience with the community and inspire future Walton-UNCF Fellows. UNCF will cover fellows’ summer travel, which includes travel to the UNCF Student Leadership Conference, host city, closing conference and return city. UNCF will also cover summer housing.